Reviewer: Kyle, of Breaking Mountains into Molehills. Please give a warm welcome to our newest Review Crew member, Kyle. The Great Gatsby is F. Scott Fitzgerald’s most famous novel, and to many his masterpiece. It also is one of the best books I have read to date, good enough that I’ve even read it twice. Though it was published in 1925, it didn’t receive widespread fame until after Fitzgerald’s death 15 years later. Today it is heralded as an American classic, and it was called the “second-best English-language novel of the 20th century.” It gives us a critical view of the nouveau riche of the “Roaring Twenties,” the name given to the 1920’s, when economic prosperity led many new rich onto the social scene. The story takes place in New York City, in an area called West Egg. West Egg is the home of the so-called nouveau riche, those that have prospered since the economic boom. On the other side of a large body of water is East Egg, the home of the old money. The West Egg crowd longs to be in with the East Egg crowd, but the “East Eggers” don’t want to associate with the “West Eggers.” Fitzgerald’s critique of both the new and old rich in the novel explores the lives of those corrupted by their wealth and greed. It offers a look into the sad and lonely lives these people lead, even though surrounded by “friends” and money. The Great Gatsby is such an insightful look into this lifestyle that it is hard to imagine that Fitzgerald didn’t feel this way himself, though he wasn’t wealthy like the people he so perfectly describes in The Great Gatsby. The story is told through the eyes of Nick Carraway, who rents a house next door to Jay Gatsby after his graduation from Yale. While he is a member of the West Egg social scene, he is not as entranced or fulfilled by that lifestyle as others seem to be. He attends Gatsby’s weekly Saturday evening parties, though he is not as consumed or excited by the parties as most. Eventually Nick befriends Gatsby, and realizes that, though Gatsby’s life seems perfect, he is constantly trying to improve himself. He reveals to Nick that every action he takes is an attempt to win back his former love, Daisy Buchanan, from her husband, Tom. Nick, Daisy’s cousin, arranges a meeting between Gatsby and Daisy. The two meet and rekindle their romance. Tom begins to get suspicious, and he confronts the two, revealing Gatsby’s true source of wealth. All of the excitement upsets Daisy, and she makes some foolish mistakes that end up having fatal consequences. One of the major and most hard-hitting criticisms in The Great Gatsby is Fitzgerald’s commentary on what we call “The American Dream.” By all standards, Gatsby has achieved everything he could ever want, but he still isn’t happy. Every aspect of The American Dream is a part of Gatsby’s life: he has money, he has “friends,” he has success and prosperity. 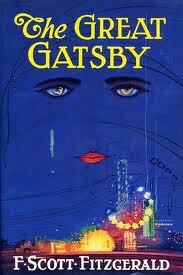 But Gatsby would seemingly throw that all away for what he truly wants, and that is Daisy Buchanan. He still loves her, and all his money and everything he has done is an attempt to win her back from Tom. The American Dream has led him to a life of loneliness and emptiness, and Fitzgerald, through Gatsby, is criticizing society’s emphasis on wealth as our sole measure of success. The Great Gatsby is full of many different motifs that add a new dimension to the story. My favorite, and perhaps one of the most noticeable, is the recurring reference to weather. Fitzgerald writes the weather to match the mood of the story and of the characters. Gatsby and Daisy reunite in a rainstorm, which provides an awkward mood for the meeting. They rekindle and realize their love for each other just as the sun is coming out, and Tom waits until the hottest day of the summer to confront Gatsby. The weather reinforces the feeling and mood of both the characters in the reader, with references to seasons, cold, hot, rain, and emerging sunshine, the reader is constantly put into a mood that is reinforced, and sometimes reinforces, the effect of the events in the story. Fitzgerald’s novel is, rightfully, one of the greatest American novels of all time. Personally, it is one of my favorite books. I find the sad story of Gatsby and his hope for the future to be heart-wrenching and his determination to better himself inspiring. He is a man of many colors, and Fitzgerald couldn’t have done a better job of creating him as the new enigma of New York. On top of Gatsby, the insight that Fitzgerald gives into the lives of people of the time and his take on the social climate of the rich are fascinating and eye-opening. Fitzgerald’s novel is a great look at why money isn’t everything and how we should strive for meaning to our life. Money can’t replace meaning, and we’re all looking for meaning in our lives. Once again, I thoroughly enjoyed every second I spent reading this novel. If you’re looking for a meaningful look into the lives of the “haves” who “have not,” then this book for you.